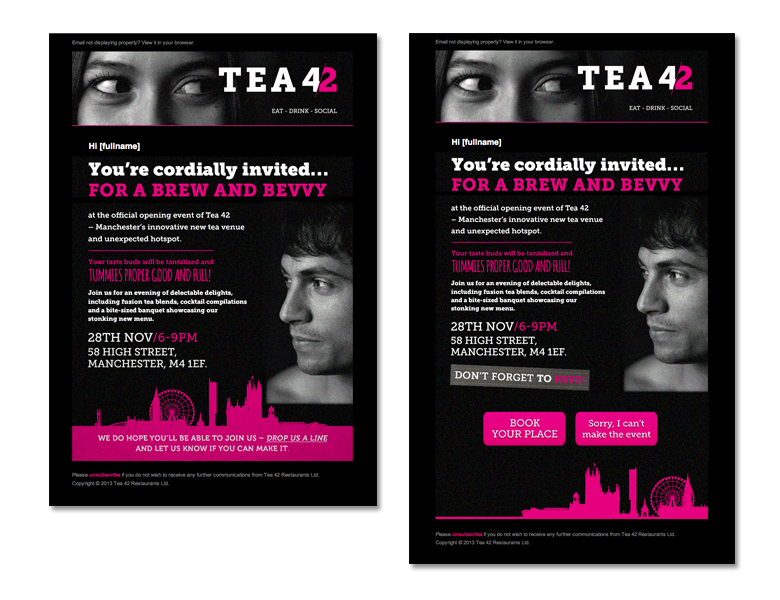 Tea 42 was having a launch party and needed our help sending out the invites. Utilising the existing brand imagery available, we created an animated email brimming with personality to grab people’s attention and get the RSVPs responding YES. As a result we achieved a pretty darned good thanks very much 48% open rate of which 62 people said they were very happy to come enabling our Tea 42 PR team to plan ahead and make sure the launch party went swimmingly.